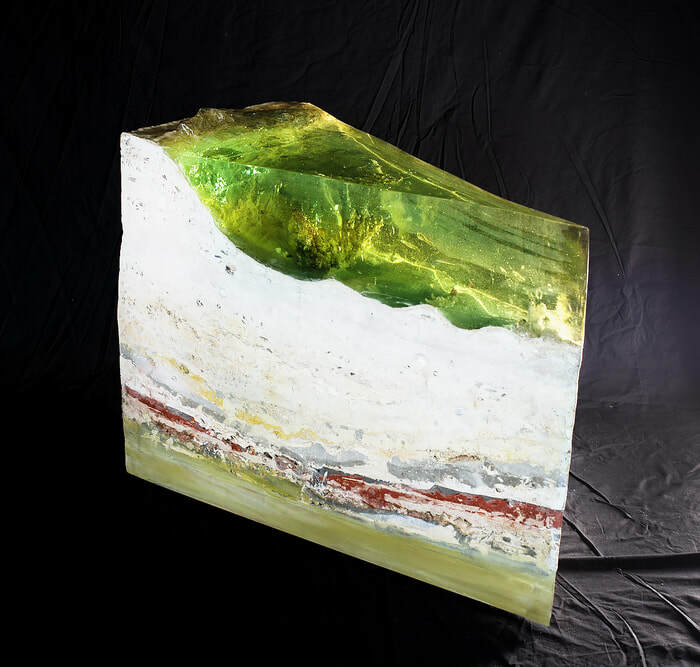 I am a sculptor with a MFA degree and passionate about creating fine art works that celebrate form & function in Nature juxtaposed with pattern & purpose in Culture. For the past 20 years, I have also been painting both residential & commercial murals. Its amazing what an inspired coat of paint can do and I love the whole imaginative process, from beginning to end. In addition to ongoing commissioned work, considerable efforts are dedicated to spearheading the local non-profit LANDMARK ARTS organization. 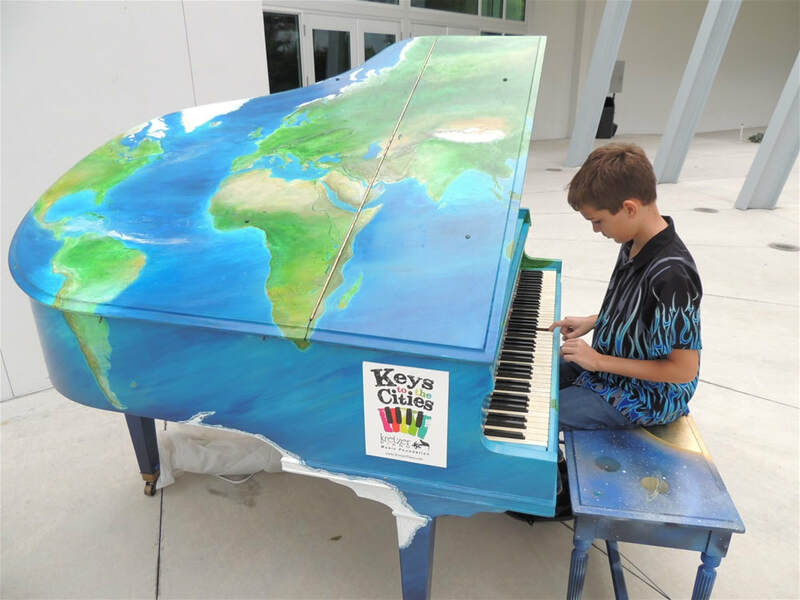 whose "Creating Community Culture" endeavors include the Hobe Sound Mural Project – an outdoor gallery of beautiful walls 'celebrating our rich history, present vitality and bright tomorrow” and the World Fountain & 9.11 Memorial Project – a proposed public plaza with one stone from every sovereign nation embedded in a map of the earth - which also includes an authentic World Trade Tower Steel Artifact. This piece: "Ocean Heaven" - won "Best in Show"! 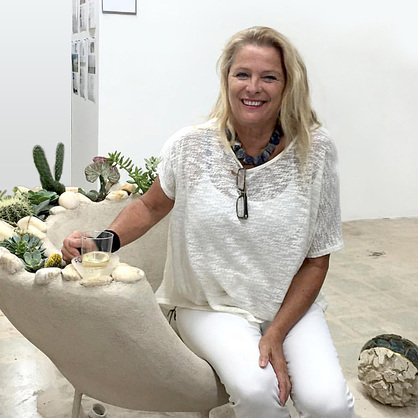 EXHIBIT / Installation "Hot & Sticky: The Sultry State"
"26th Annual All Florida Juried Arts Show"
A well traveled artist who speaks several languages, Nadia Utto's art and art projects are informed by a love of nature and ways of seeing the world. "I do my work as a thinking person first," Utto says. "I was partly raised in Europe and can speak several languages and that helps me to 'see' things differently. The Alaskans have 20 different words for snow, and I recently learned a Japanese word - Komorebi - which translates to 'sunlight through the trees'. Just that image through that one word is art to me." Community is important to me and I'm committed to making Hobe Sound, Martin County and South Florida a great place to live. Beyond the activities involved with LANDMARK ARTS; the Hobe Sound Mural Project and the World Fountain & 9.11 Memorial Project, I contribute art work annually to other local fundraisers. 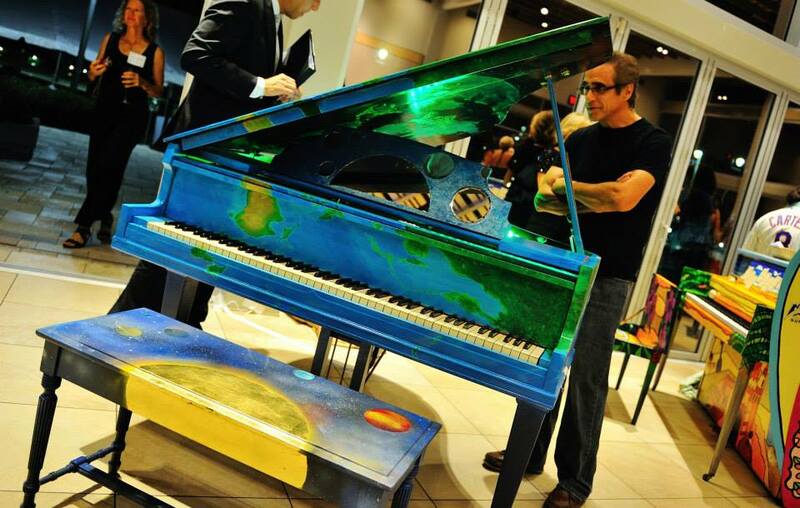 Recently these have included etched antique windows for the Apollo School Foundation, a painted grand piano for the Keys to the Cities event for the www.kretzerpiano.com/foundation which now stands in the South Florida Aquarium and Science Museum entry hall. All proceeds were donated to the Apollo School Foundation in Hobe Sound, Florida. 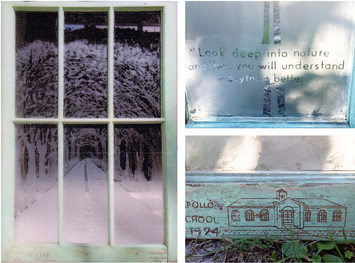 This window is etched with a favorite local image, the Bridge Road Banyan Trees along with an Albert Einstein quote. The title is also a play on words - since the term "Einstein Window" - is the time of day whjen one is generally the most productive! A window on the past and present. 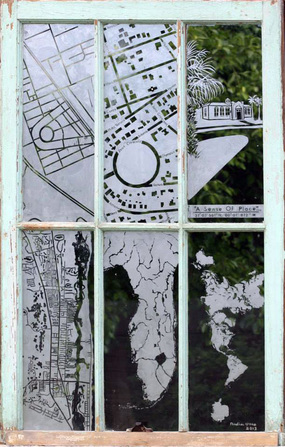 This glass is enhanced through the ancient art of etching. figuratively honoring the Apollo School's 88 year historical presence while utilizing modern technology of internet mapping.